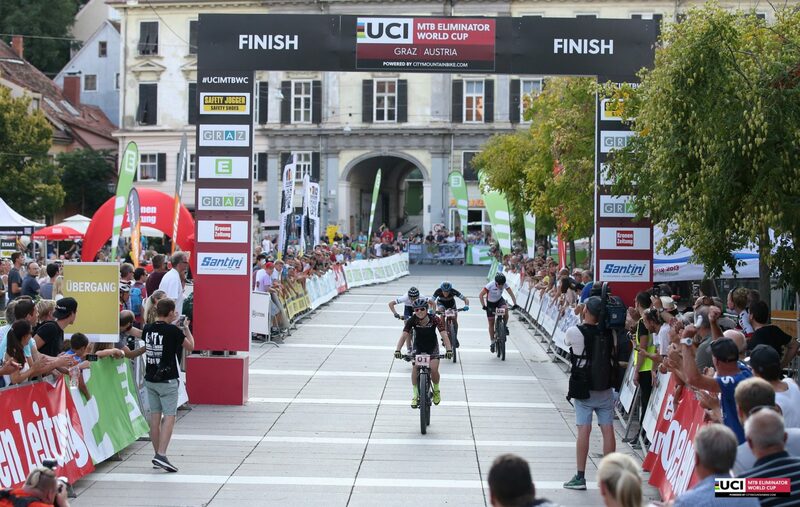 The second round of the UCI MTB Eliminator World Cup in Volterra (ITA), saw Norway’s Ingrid Boe Jacobsen and Frenchman Lorenzo Serres take home the victories. 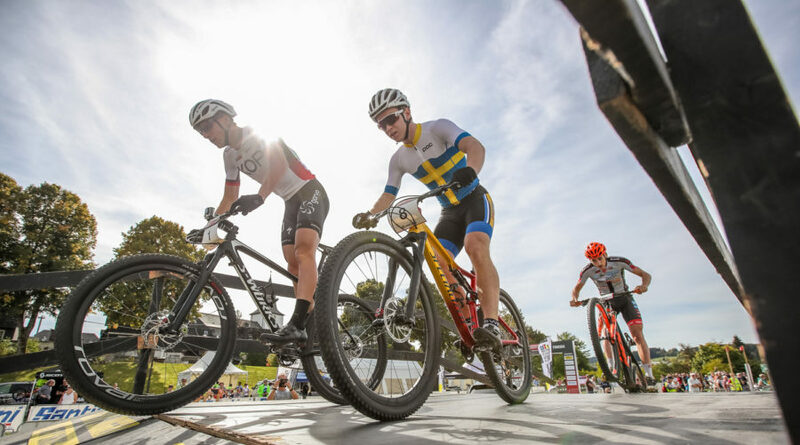 Winner of the opening round of the Women’s Eliminator in Columbus (USA), the Norwegian athlete continued her strong start to the season by winning two World Cups in a row. 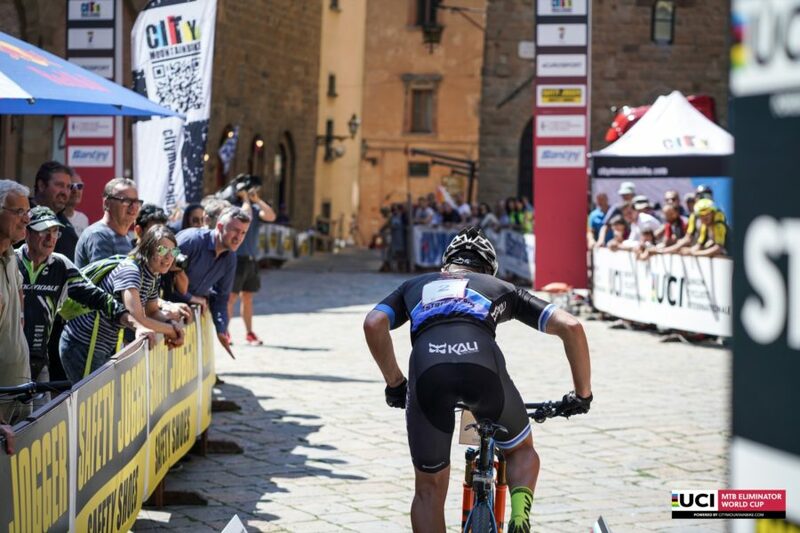 Frenchman Serres makes history after claiming his second title in Volterra. His win moves him up to first in the overall standings ahead of round one winner Jeroen van Eck, who came in third position. Lorenzo Serres and Jeroen Van Eck both lead the men’s 2018 UCI MTB Eliminator World Cup with the same amount of points. It’s supposed to be the perfect finals for current World Champion Titouan Perrin-Ganier and fellow teammate Hugo Briata. They both easily found their way through the qualifying heats to make the most of it in the ‘big final’. Frenchman Hugo Briatta was unable to finish it the way he wanted to, as his chain got dropped at the bottom of the final hill. Briatta finally settled for fourth place. Norway’s Ingrid Boe Jacobsen extends her lead with a total of 120 points and looks ahead to what’s next. “It’s been an amazing but quite a tough race. The final hill was so brutal, I didn’t expect to win here”, she told us after taking home her second World Cup victory of the year. 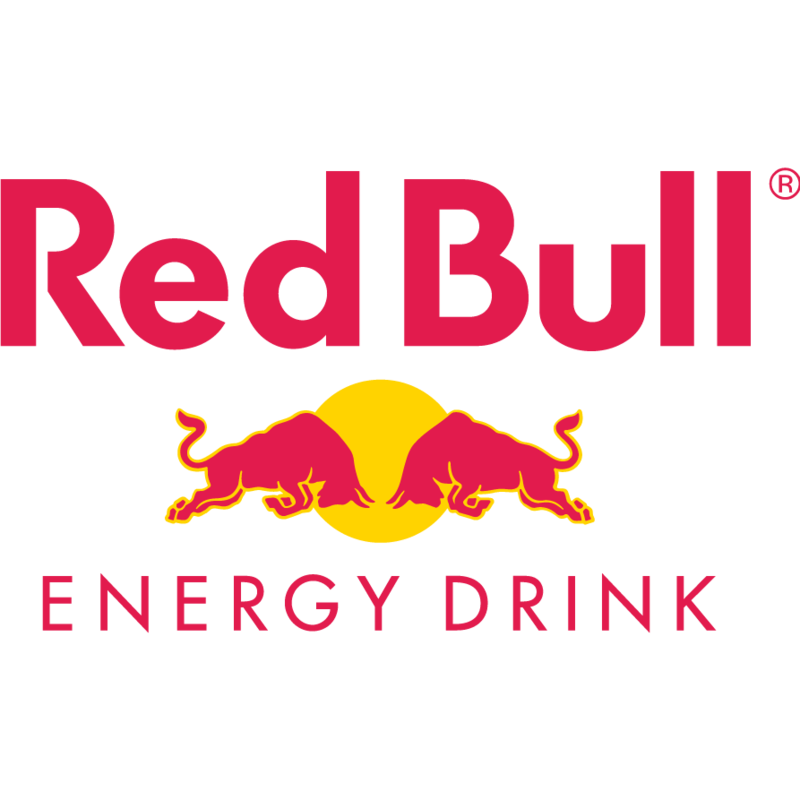 The riders will now have a small break before they take on the third round of the UCI Mountainbike Eliminator World Cup, that will be held in Graz, Austria, on July 28. Although, some of World’s best riders will be present next Sunday (June 24) for City Mountainbike’s first Festival Waregem in (Belgium).